Pretty Poison or Harmless Cosmetic? 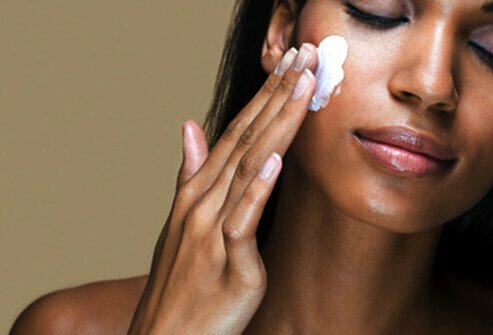 When you cover your blemishes, give yourself a sunless tan, or straighten your hair, chances are you use a product with a long list of ingredients. But are those ingredients safe? 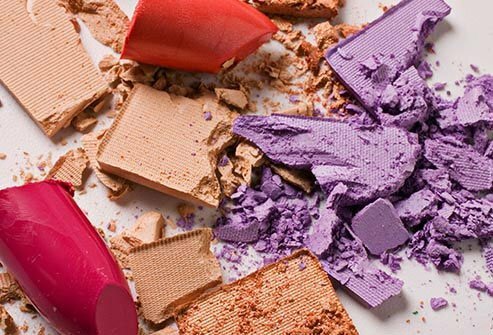 Headlines proclaiming the dangers of beauty products are often based on hype, so WebMD takes a look at the science. And we offer some alternatives for those who want to reduce their use of chemicals. Salon-based keratin hair treatments can deliver silky, smooth locks with no frizz. These treatments are often marketed as formaldehyde-free, but Oregon's OSHA found high concentrations of the chemical in more than half of samples. Long-term exposure to formaldehyde can cause cancer. 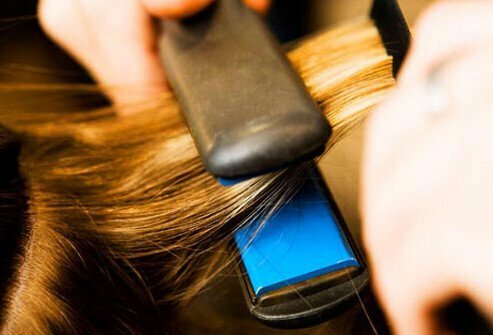 Getting your hair straightened or "smoothed" once every few months will not put you over OSHA's exposure limits. But there could be a real risk to your stylist. Research connecting hair dye to cancer has had conflicting results. Some studies suggest that women are slightly more likely to get leukemia or lymphoma if they use permanent hair dyes, particularly darker colors. But other studies have found there is no increased risk. 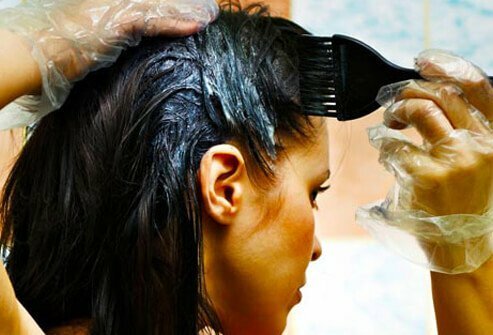 Most research looking at hair dye and breast cancer has found no link. There is also no evidence suggesting hair dye poses a threat during pregnancy, although some health care providers recommend waiting until the second trimester to be extra cautious. 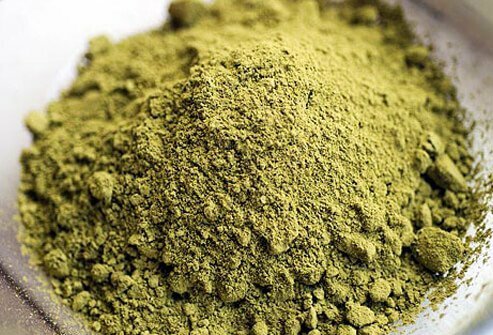 Plant-based hair dyes, including henna and vegetable dyes, can change hair color without harsh chemicals. But there are some drawbacks. Most won't result in a dramatic color change, and the results tend to fade sooner than with permanent dyes. A second option is to get highlights at a salon. 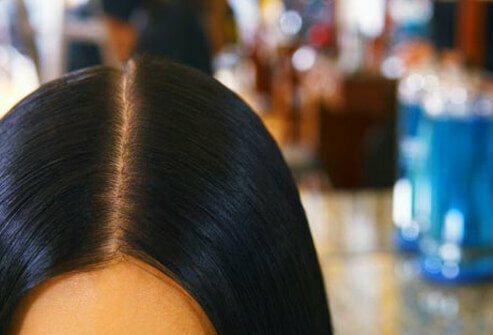 A special cap or foil hair wrappers prevent the dye on your tresses from touching your scalp, so the chemicals aren't absorbed by your skin. Colored or patterned lenses that don't correct your vision can help you change your look. 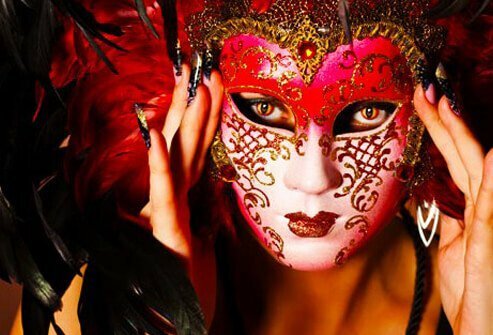 But avoid any lenses that are sold without a prescription, often available at salons, costume shops, or online. 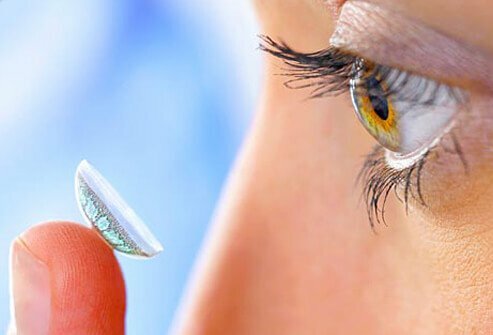 Contact lenses require proper fitting, cleaning, and care, even for a short wearing. If you don't care for them properly, you run the risk of eye injuries or infections that can lead to vision loss. If you feel Mother Nature gave you the wrong eye color, ask a licensed eye care professional about colored contact lenses. Even if you have sharp vision, you'll still need an eye exam. The doctor can write a prescription for you and show you how to take care of the lenses properly. Buy lenses from a prescription-only source. Follow the doctor's directions to avoid injuring your eyes. Latisse is a prescription drug that can temporarily give you long, flirty eyelashes. You daub the serum onto your upper lash line every day and wait about four months for results. You may love the lashes, but it's important to note a small risk of side effects, some permanent. 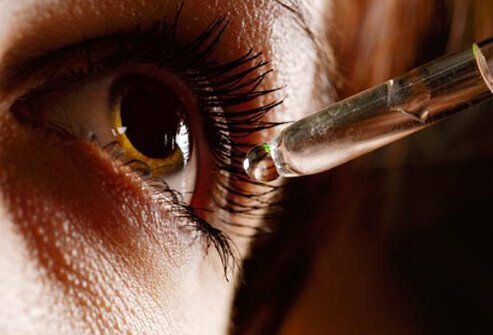 The drug may darken the skin around your eyes or turn the colored part of your eyes (the irises) brown. 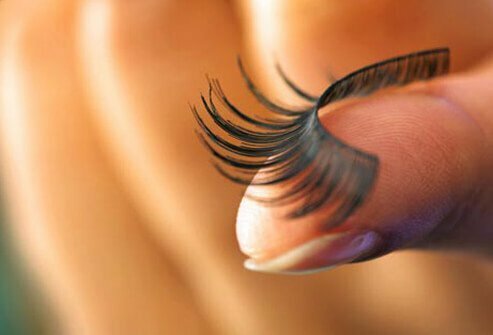 False eyelashes or eyelash extensions can give you that long-lashed look without a prescription drug. But that doesn't mean they're risk-free. 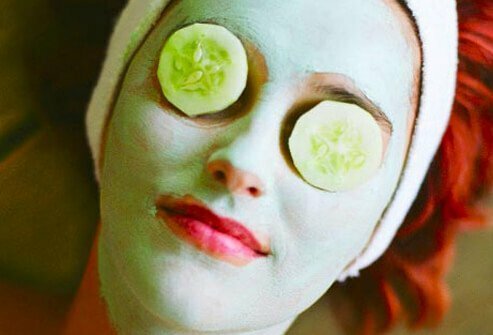 The adhesives can irritate the eyelids or cause an allergic reaction. And beware of permanent eyelash tints that promise thicker-looking lashes. They have been linked to serious injury, including blindness. No permanent dyes are FDA-approved for use on the lashes. Hydroquinone is a skin lightener that is available by prescription or in a less potent strength over the counter. Dermatologists often recommend it for reducing age spots or dark patches known as melasma. Overuse of hydroquinone can cause skin discoloration. Animal studies have also linked the chemical to cancer, though the risk to humans is unclear. Scientists are currently studying hydroquinone's safety. 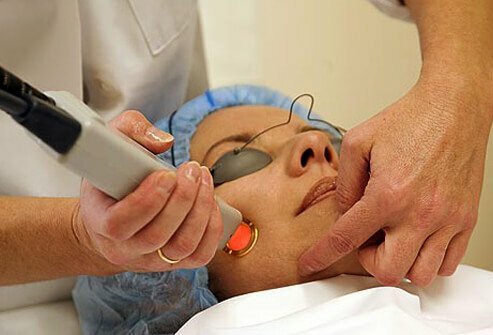 Laser skin resurfacing uses a special type of laser to remove the top layer of skin. The procedure, which is done by a dermatologist, can minimize age spots and even out skin color without the long-term use of a chemical lightener. Drawbacks include the expense, pain, the downtime while your skin is healing, and a small risk of scarring or discoloration. No matter what you've heard about the safety of tanning salons, here's what the research says: frequent use of tanning beds raises your risk of melanoma, the most deadly form of skin cancer. In addition, tanning beds mainly emit UVA rays, which contribute to premature aging – wrinkles and brown spots. Even if tanned skin looks good to you, tanned skin is actually damaged skin. It's easy to fake a tan. Sunless tanning lotions typically contain DHA, a color additive that reacts with amino acids in the skin's surface to create a temporary "tan." DHA is FDA-approved for external application, but not for use in commercial spray tanning booths. These booths may cause you to inhale some of the spray or get it in your eyes. Be sure to use sunscreen even when you have a sunless tan. It does not protect your skin. Manicure products contain a wide range of chemicals, including formaldehyde, phthalates, acetone, or toluene. Their fumes may irritate the skin, eyes, nose, and respiratory tract. These reactions are more common in salon workers than in clients. Manicures and pedicures can also result in fungal or bacterial infections – particularly if equipment has not been sterilized properly. Before having a manicure or pedicure, inspect the salon's cleanliness. Leave if you doubt the quality of the salon's sanitation or disinfection practices. Don't shave your legs before a pedicure, and avoid the nail salon if your skin is cut, nicked, or broken. If you're a salon worker, ensure that your salon obeys laws designed to protect workers' safety. Phthalates are chemicals used to make products more pliable. They're found in toys, food packaging, and some beauty products, including nail polish, shampoo, and soap. Two studies suggest phthalate exposure during pregnancy may lead to abnormal development in male infants, including low hormone levels and small genital size. 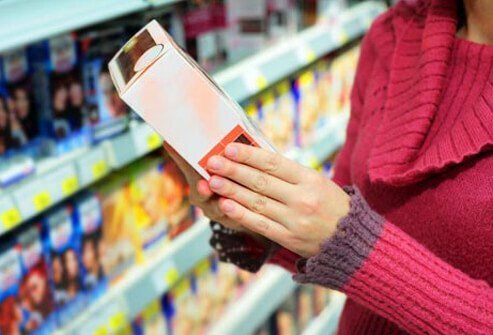 But the FDA says there is not enough evidence to conclude that phthalates pose a health risk. If you're concerned about phthalates, look for phthalate-free beauty products. You can check the ingredients for the term phthalate (dibutylphthalate, dimethylphthalate, diethylphthalate, etc. ), butyl ester, or plasticizer. It's important to note that phthalates are also found in flooring, shower curtains, food packaging, and many other staples of modern life. But using phthalate-free cosmetics and skin-care products can reduce your overall exposure. Parabens are the most common preservative found in cosmetics, including makeup, moisturizers, and hair care products. One study found parabens in breast tumors, but did not indicate that parabens actually caused the cancer. Other researchers have concluded it is "implausible" that the amount of parabens in cosmetics could lead to cancer. If you're concerned about parabens, you can find paraben-free beauty products. Cosmetics tend to spoil without preservatives, but parabens aren't the only option. Some products use vitamin C (ascorbic acid) or vitamin E (tocopheryl acetate) as preservatives. Throw out eye makeup immediately if you have an eye infection. 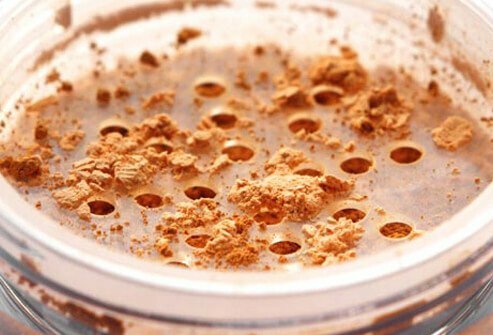 Mineral makeup contains fewer irritating fillers and preservatives than regular cosmetics. But it can still contain allergens, so people with sensitive skin should look for products with as few ingredients as possible. Although mineral makeup often has built-in sunscreen, like titanium dioxide or zinc oxide, don't rely on this as your sole protection from the sun. It's best to use mineral makeup over your regular sunscreen. The ingredients in sunscreen have been used for many decades and are considered safe. The real danger is choosing a sunscreen that is too weak. To protect against both UVA and UVB rays, choose a product labeled "broad spectrum" and choose SPF 30 or higher to reduce the risk of skin cancer and early skin aging. Organization of Teratology Information Specialists. Cancer Epidemiology, Biomarkers & Prevention. International Agency for Research on Cancer (WHO. University of Massachusetts at Lowell.